Japan’s Meiji Co., Ltd. has made available its UHT low fat milk, UHT low fat strawberry flavour milk and UHT fresh milk in Malaysia. The UHT milk (830ml) is imported by CP Dairy Products Sdn Bhd from Thailand and is certified halal by the local Thai authorities. In Thailand, the joint venture CP-Meiji Co., Ltd. produces and sells dairy products, primarily chilled milk and Meiji Bulgaria Yogurt. The entity also exports to neighbouring countries including Singapore where is is the number one selling milk. 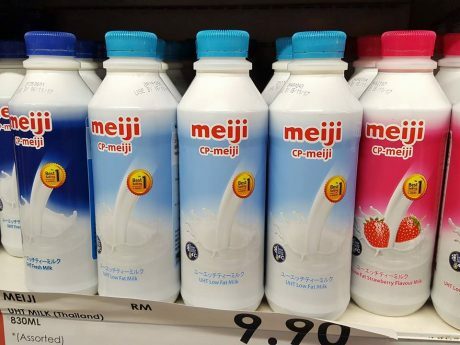 In Malaysia, Meiji is sold as a UHT milk but it has to be kept at a temperature of 4°C or less. Normally, a UHT milk can be kept in room temperature and does not need to be refrigerated. 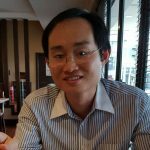 To explore this topic further, we have uncovered the same milk is selling in Singapore minus the word “UHT.” The two products are comparable because they have the same nutritional information. The milk sells in Singapore for SGD 3.05 (Redmart) and in Malaysia, it is priced at RM 9.90 (Aeon). The export of made-in-Thailand milk products into Malaysia marks the broadening of the export focus of Thai dairy firms beyond the traditional markets like CVLM (Cambodia, Vietnam, Laos and Myanmar) into Muslim countries like Malaysia. The requirement for Malaysia is tougher as halal is a prerequisite to ensure the dairy products are accepted by Muslim consumers. Apart from CP-Meiji, the Thai state-run Dairy Farming Promotion Organisation (DPO) said in July 2017 that it was exploring exporting to Muslim countries starting with Malaysia. The plan was to export Thai-Danish brand UHT dairy products to Malaysia by the end of 2017, making the country as a springboard into other Muslim countries such as Brunei and Indonesia. Once this is successful, more Thai dairy companies will likely to follow suit.